Proper tax planning and preparation activities are critical to running a healthy business and maximizing the potential of your wealth. Depending on your business type and structure, potential for significant savings could be hidden in your current tax strategy. To ensure optimal navigation of complex and ever-changing tax laws, it is crucial to work with knowledgeable, experienced and responsive professionals. At Redwitz Inc., our tax group works closely with clients throughout the year to create innovative and customized solutions to minimize your tax burden. 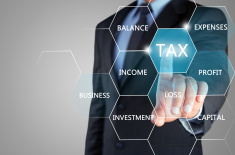 At Redwitz, our tax services exceed basic planning and preparation. We continually develop advanced tax strategies based on economic substance and sound business purpose to fulfill our clients’ needs. We have proven experience working with businesses of various legal entity types, sizes and industries. Our professionals focus on keeping our clients informed of new opportunities and challenges to help expand their growth and secure tax savings.